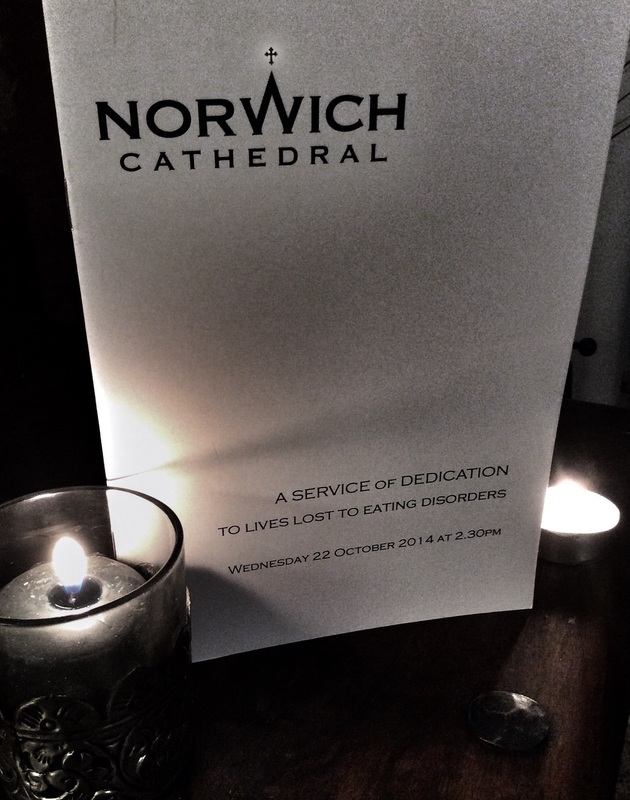 An emotional day at Norwich Cathedral organised by BEAT for those lives lost to Eating Disorders. A candle lit for Averil. A wonderful choir and some very emotional readings, one by a father who had lost his daughter to AN. A similar story to Averil's in many ways . Neglect by the NHS of a young person being cared for in the community with a treatable illness and resulting in the tragic and unnecessary death of a wonderful young person, leaving her family with so much pain and suffering. It was good to meet some of the families after the service and make contact with others who understood, who were suffering and who were calling for change.